Am I still a weirdo? 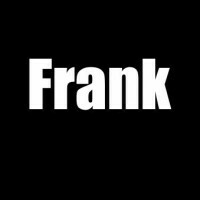 Frank, just wanted to pop by and let you know how much I enjoy and admire your work. This piece is no exception…..classic Solanki, imagination & intellect . Words tell of the truth of the human condition. Most days I relish being a weirdo. Love this! When my daughter was in Standard One, she came home with an assignment to write a poem beginning with the line: ‘If I were…’ Your blog would have been a good source material 🙂 Very unique and entertaining! I am a weirdo I spend my days quiet in thought sipping my coffee I feel as though this is brilliantly executed poetry. So beautiful yet in ways the feelings are so true. Namaste. I guess we all feel like werido’s same days. Brilliantly crafted, I always enjoy your poetic posts!